The umpire yells “Play Ball” and with those words the new “Yokota Samurai Baseball” team takes the field wearing their red, white and blue. Recently, Yokota Air Base stood up an organization called the Yokota Baseball/Softball Association (YBSA) for the purpose of encouraging interest in youth baseball/softball, complimenting existing Youth Sports Programs, enhancing bilateral and community relations, developing the skill and experiences of Yokota youth, and supporting the growth of baseball/softball programs by organizing and coordinating teams and events on Yokota AB. Yokota Samurai Baseball is our first team, providing opportunities for youth ages 9-15 with a Spring Season schedule of 4 events for the Little League (ages 9-12) and 6 Events for the Senior League (ages 12-15) squads. So far we have completed 5 events of the 10, the last one scheduled for 11 Jun. TSgt Marcus Reed, overall head coach says “The opportunity to teach and coach kids baseball is rewarding in itself. However, to do it while enhancing kids abilities through multicultural spectrum in games against the many professional/classy Japanese Little League and Senior League teams is a great experience. 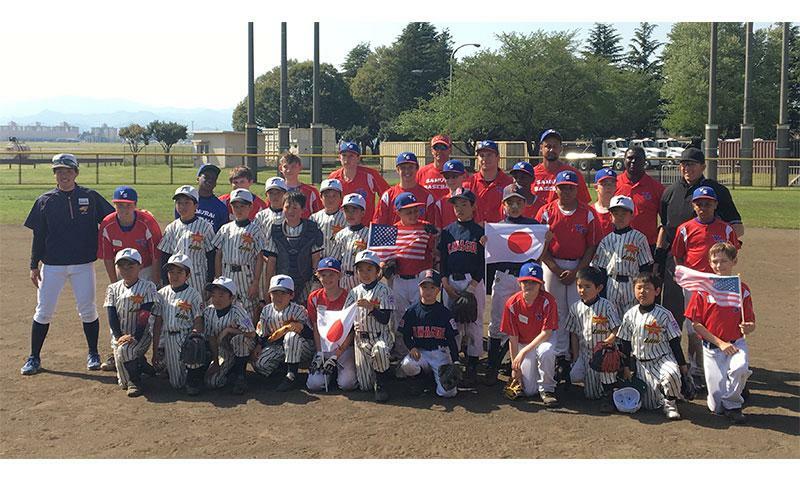 The Coaching staff and kids for YBSA are great Ambassadors for baseball while here at Yokota AB.“ All in all, this is an amazing opportunity for these kids and we look forward to building our partnership through the love of this amazing game we all call baseball.